ART BIKERS: Lickety Split Ice Cream Art! I scream, you scream, we all scream for ICE CREAM! 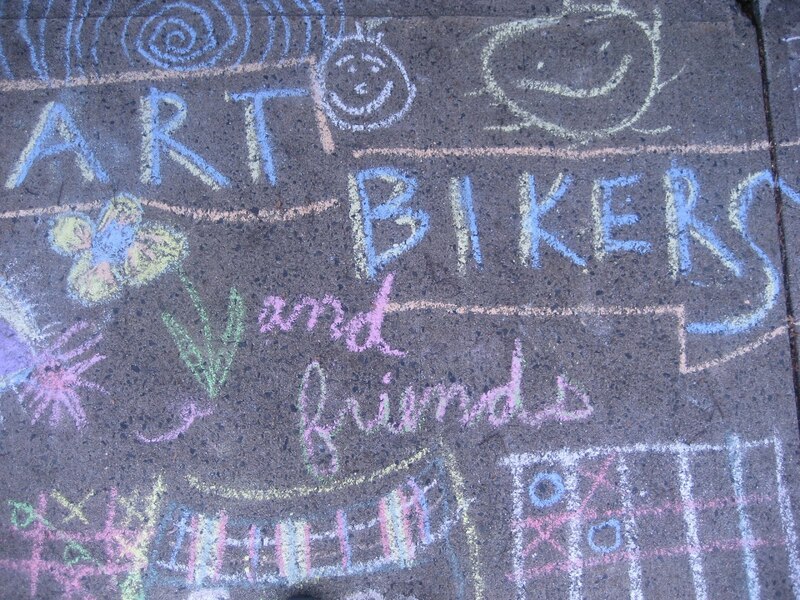 The Art Bikers went back to one of our favourite communities, Bayers Westwood, just in time for the Ice Cream Social. We got to eat lots of yummy ice cream, and make beautiful art at the same time! All the artists printed quadruple scoop ice cream cones using homemade stamps and acrylic paint on cards. The result was fantastic! Each participant got to take their card home to give to someone special, and contribute a printed scoop to our giant community ice cream cone growth chart. Stop by the Bayers Westwood Family Resource Centre to find out which flavour YOU are! The Art Bikers, ready to go! Bombarded with ice cream enthusiasts!